He dedicated the remainder of his life to healing the rift created by America's Greatest Mistake. 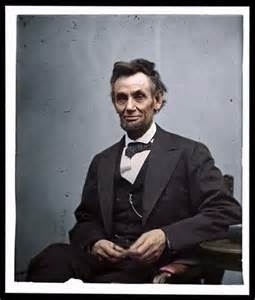 The Abraham Lincoln unites two great roasted beans – the coffee bean and cacao bean - into a harmonious relationship of chocolaty coffee in your mug that any American can enjoy. Remember, the Abraham Lincoln has an extra large load of cacao and you need to supply the sugar and milk to really bring out the cocoa flavors. Also, because of the cacao, we only grind the Abraham Lincoln for a French Press and we don't recommend using anything but a French Press - the Lincoln might overflow a drip pot.